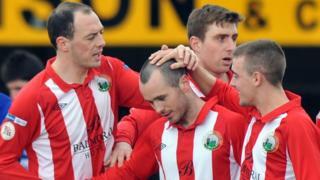 Warrenpoint Town trounce Dungannon Swifts 4-0 to ensure that Ards finish bottom of the Irish Premiership. Stephen Hughes, Marty Havern and Daniel Hughes were on target in the first half, with Stephen Moan completing the scoring in the second. 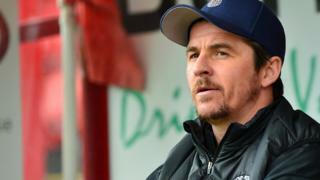 The result sees Barry Gray's side make up ground on Ballinamallard and Coleraine as they bid to avoid a potential promotion-relegation play-off.